Different times we try to inform you about different matter. This time we are going to tell you about the Top 10 List of handguns. We know that many people are very crazy about guns and weapons. Our Top 10 List is for those people who are interested about guns and handguns. 1. 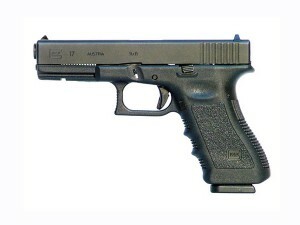 Glock-17: In the Top 10 List we put Glock-17 in the 1st place. It is a semi automatic pistol designed and produced by Glock GmbH of Deutsh-Wagram, Austria. . It has a short recoil locked breech; tilting barrel action fires amongst others a 9x 19mm Parabellum cartridge is used by the Austrian military and US Law Enforcement agencies. 2. Smith & Wesson .500 S&W Magnum: In the Top 10 List of handguns we keep Smith & Wesson .500 S&W Magnum in the 2nd place. It is one of the most handy and powerful handgun. The .500 S&W Magnum are considered the best commercial sporting handgun cartridge by the muzzle energy it makes. 3. FN Herstal FNP-9: In the Top 10 List of handguns we keep FN Herstal FNP-9 in the 3rd place. The trigger is unique, wide and smooth, unlike many polymer guns. Magazine capacity for the 9mm is 16 rounds in the magazine and one in the tube. 4. Beretta 92: In the Top 10 List of handguns we keep Beretta 92 in the 4th place. The Beretta 92 is of Italian origin. It fires a 9x19mm Parabellum cartridge. It has been in production since 1975 and is in service in the Italian, French and US military. 5. Walther P99: In the Top 10 List of hand guns we keep Walther P99 in the 5th position. It is one of the popular handguns all over the world. The Walther P99 is a semi automatic pistol of German origin. It is manufactured by Carl Walther GmbH Sportwaffen. It is used by the German police, Polish police and the Finnish army. 6. QSZ -92: In the Top 10 List of handguns we keep QSZ -92 in the 6th place. Its country of origin is The Peoples Republic of China. It has an effective range of 50m and has a muzzle velocity of 1148 ft per second. 7. M1911 pistol: In the Top 10 List of handguns we keep M1911 pistol in the 7th place. This is a single-action and semi-automatic handgun created by John M. Browning. It has now risen to become the finest type of the 20th century; making it popular among civilian shooters in competitive events. 8. Mark 23: In the Top 10 List of handguns we keep Mark 23 in the 8th place. The Heckler and Koch Mk23 are of German and United States origin and consist of match grade semi automatic pistol. This handgun has an effective range of 50 Ms. It has been in production since 1991 and comes with a 12 round detachable box magazine. 9. HS2000/XD: In the Top 10 List of handguns we keep HS2000/XD in the 9th place. The HS 2000 is of Croatian origin and is produced by HS Produkt D.o.o. The company’s most successful product HS2000 is a polymer framed semi automatic pistol. It is the standard issue of the Croatian army and is popular amongst the US law enforcement agencies. 10. SIGP250: In the Top 10 List of handguns we keep SIGP250 in the 10th place. The SIG P250 pistol is of mixed American and German origin. It is made by JP Sauer and Son and Sig Sauer Exeter. It is a semi automatic pistol. This pistol has an effective range of 50Ms.